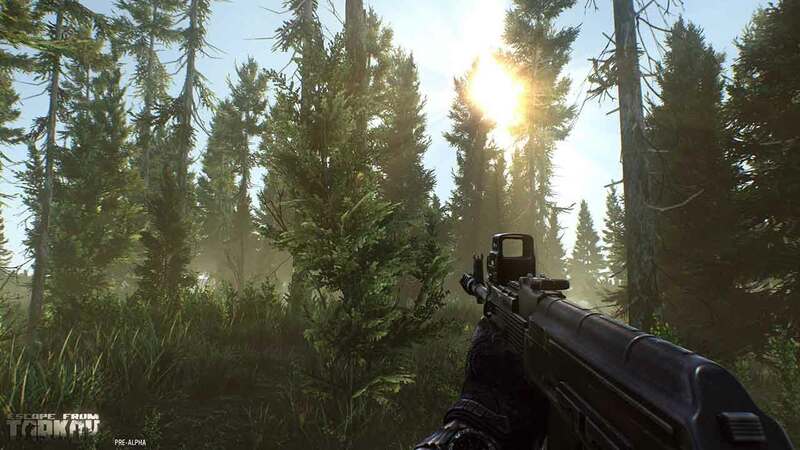 Battlestate Games today lifted the lid on the incredibly in-depth skill system for the upcoming online FPS/RPG hybrid, Escape From Tarkov, introducing players to the vast array of available skills and how choices made during gameplay directly impacts the progression. 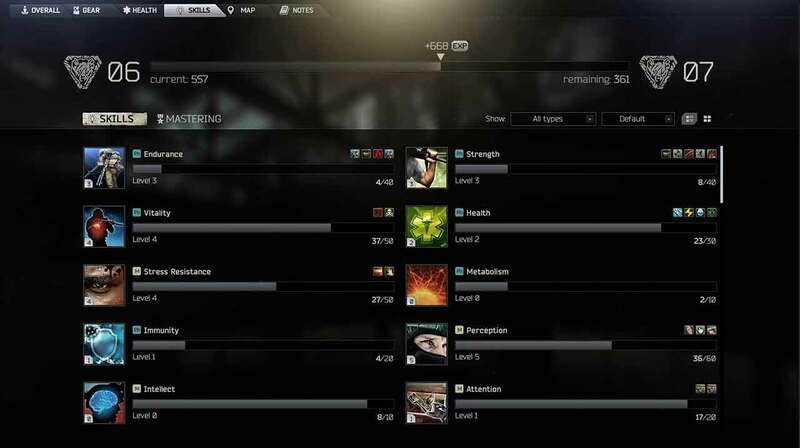 Escape From Tarkov features 5 different skill categories with each skill receiving upgrades and experience points through repetition – completing specific actions improves a players ability with that specific skill. The more time a player invests in a single skill, the more adept they become at using it. What makes this skill system different to that of other games is that players can actually forget to use skills. Over time, as players neglect specific skills, they will begin to lose levels. These unused skills continue to roll back to a predetermined minimum level. This means players will not be able to completely forget a skill but they will find they lose the ability to perform it at previous levels should they choose to invest time into other skills. Skills that have dropped levels through inactive use can however be improved far quicker than skills the player had no experience with previously, creating a realistic and rewarding progression system. Furthermore players that choose to heavily invest time into specific skills will find elite skill level unlocks towards the higher tiers, providing various perks and bonuses. The team also highlighted a number of the more prominent skills and how they will impact gameplay. This skill levels up in particular order – first Strength, then Endurance and finally – Vitality. Skill bonuses for the character include a reduced chance of fracture, higher out-of-combat recovery speed and reduced energy consumption and dehydration speed. Upon leveling up to the elite skill level, players are rewarded with bonuses that include, for example, a small reduction in damage taken in combat, and a sustained immunity to poisoning. To increase this skill, players must use it by searching containers, looting dead bodies, and examining other items throughout the game. The Attention skill bonus increases makes it faster for players to scavenge loot from bodies and containers, while also increasing their chance of finding rare loot. The elite level of this skill opens up the possibility of “instant searching” and an even better chance of finding rare loot. The melee weapon handling skill is upgraded by successfully landing stabs and cuts with close-range weapons. The Melee Weapons skill bonus provides enhanced swing strength and a shorter delay before swinging a weapon. The elite skill level gives players a chance to strike a killing blow in combat, along with the chance of causing a stricken enemy to bleed-out. Battlestate Games also released a full list of skills that are currently in the game, although they did mention that the list is not complete and will be changed and updated as the development continues. Although the above abilities will be available to all players there are certain Special skill groups that include skills and abilities exclusive to one of the 3 factions, BEAR, USEC and Scavs. For more information, or to participate in the discussion for the skills system, head on over to the official forums.